Apartments Anna ~0.1 km, Jezera Please inform Apartments Anna in advance of your expected arrival time. You can use the Special Requests box when booking, or contact the property directly with the contact details provided in your confirmation. Apartment in Tisno IV ~0.1 km, Jezera Apartment in Tisno IV presents pet-friendly accommodation in Tisno, 49 km from Zadar and 21 km from Šibenik. Visitors advantage from outdoors terrace and a children's playground. Gratis wireless internet is provided throughout the property. The kitchen is fitted with an oven and there is a private toilet. A TV with satellite channels and DVD player is featured. 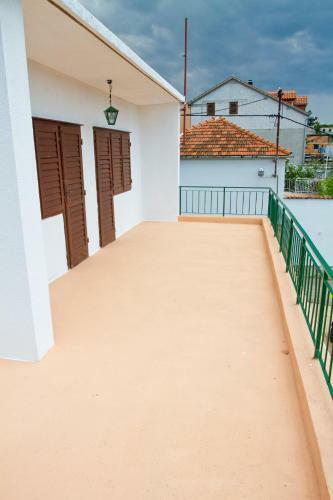 Vodice is 11 km from Apartment in Tisno IV, while Biograd na Moru is 23 km from the property. Apartment in Tisno III ~0,1 km, Jezera Apartment in Tisno III presents pet-friendly accommodation in Tisno, 49 km from Zadar and 21 km from Šibenik. Gratis wireless internet is available throughout the property. An oven and a fridge can be found in the kitchen and there is a private toilet. A TV with satellite channels and DVD player is featured. 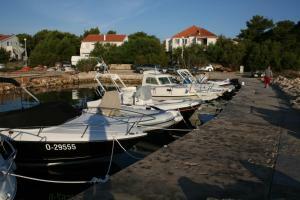 Vodice is 11 km from Apartment in Tisno III, while Biograd na Moru is 23 km from the property. Zadar Flight terminal is 40 kilometers away. Tisno ( ~ 0.5 km ): 206+ accommodation units. Murter ( ~ 3.6 km ): 54+ apartments. Betina ( ~ 5.5 km ): 102+ apartments. Beach Sv. Andrija, Tisno ~ 0,9 km from Apartments Anna Rocky beach. Nudism is allowed. Beach Jazine, Tisno ~ 1 km from Apartments Anna Gravel beach: ideal for families, recommended for young people, with restaurant, with caffe bar, equipped with showers. Excellent choice of watersports. Beach Lovisca, Jezera ~ 1,9 km from Apartments Anna Gravel beach: ideal for families, recommended for young people, with restaurant, with caffe bar, equipped with showers. Excellent choice of watersports. Beach Lucica, Jezera ~ 2,1 km from Apartments Anna Gravel beach: ideal for families, with restaurant, with caffe bar, equipped with showers. Excellent choice of watersports. Beach Lolic, Pirovac ~ 2,3 km from Apartments Anna Gravel beach: ideal for families, recommended for young people, awarded with blue flag, with restaurant, with caffe bar, equipped with showers. Excellent choice of watersports.